The streaming video wars may be dominated by companies named Netflix, Hulu, and YouTube, but among traditional media companies, it has been the premium pay-TV channels that were most eager to enter the space. HBO was first out of the gate with HBO Now in 2015, and Showtime followed suit a few months later. Starz launched its streaming option in 2016, as did HBO sister channel Cinemax. 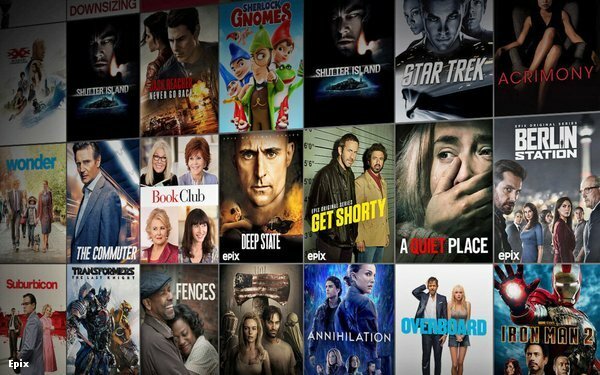 Now, the last of the major premium channels is entering the streaming space. Epix, the pay-TV channel owned by MGM, says it has launched Epix Now, its attempt to carve out a slice of the lucrative premium streaming market. Epix’s live channel feed will also be available through the apps, which will launch on Apple, Google, and Amazon devices, with Roku and other platforms coming later this year. Epix’s film library has long been a hot commodity in streaming. The company helped turbocharge Netflix’s streaming efforts in 2010 when it licensed its films to the streaming giant. Deals with Amazon and Hulu followed. Now, it seems willing to use the library to try and bolster its own service. Epix was an early adopter of “TV Everywhere,” making its programming available to stream through apps and websites. However, until now, it required an authenticated pay-TV subscription to watch said programming. With traditional TV distribution that lagged somewhat behind its larger competitors, Epix is now betting that OTT video will let it catch up.